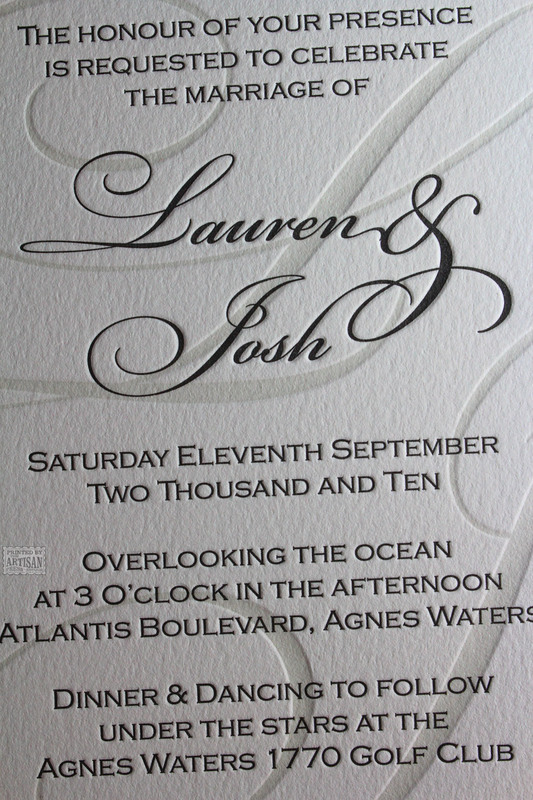 Simple elegance with a sophisticated flair. 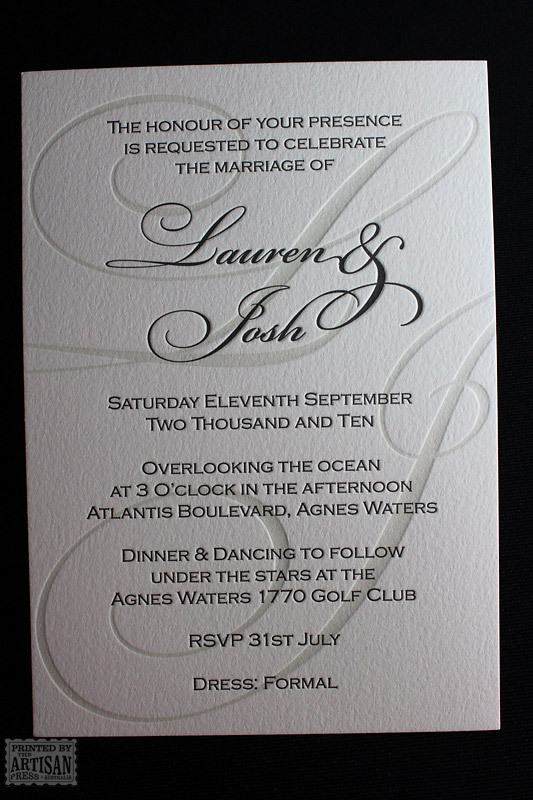 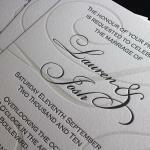 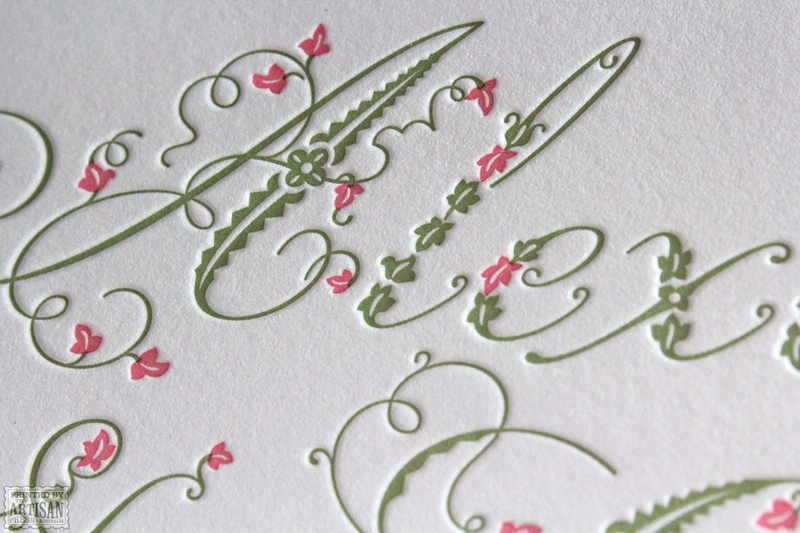 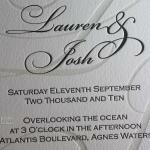 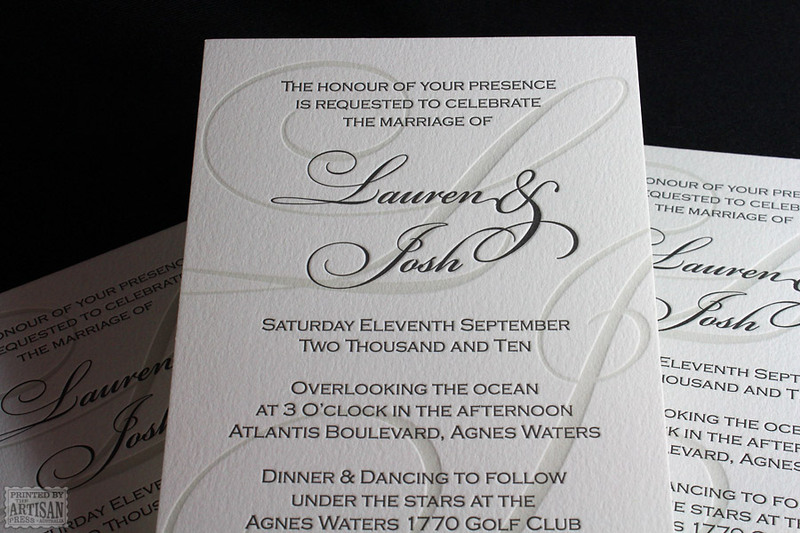 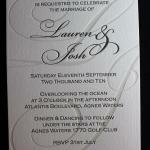 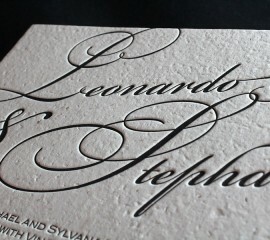 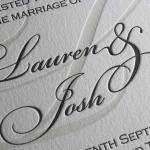 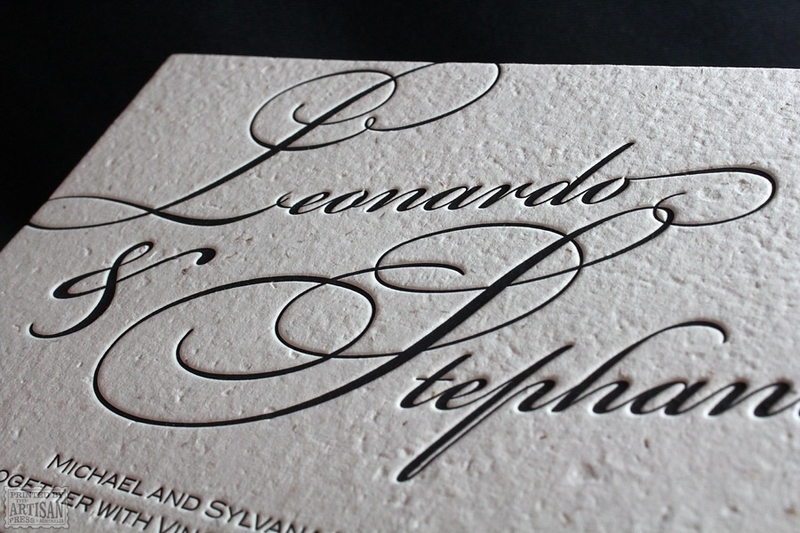 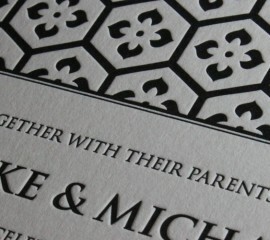 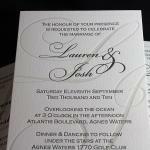 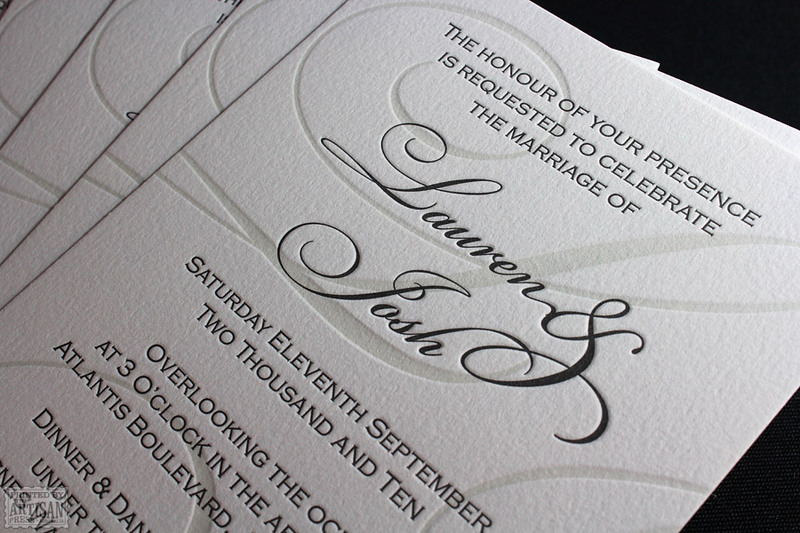 This classic style wedding invitation design from The Artisan Press offers multiple letterpress printed layers and varying depths of impression. 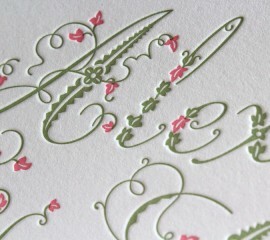 A personalised background monogram adds handcrafted appeal. 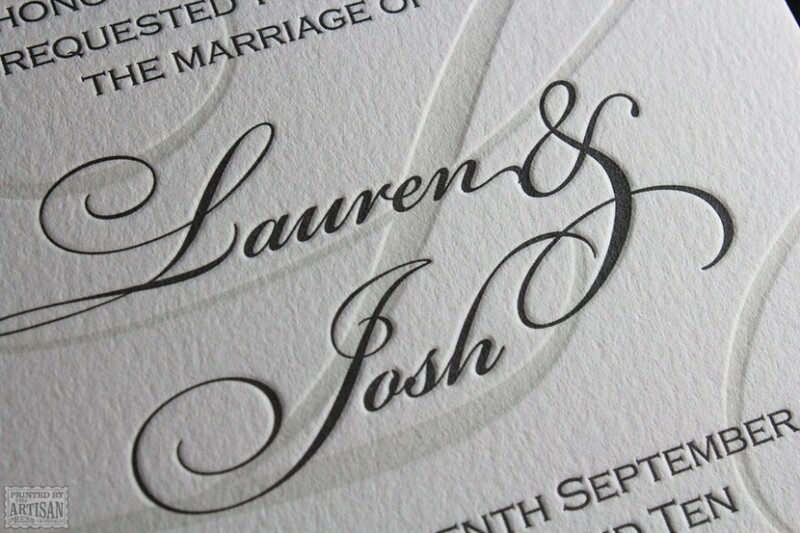 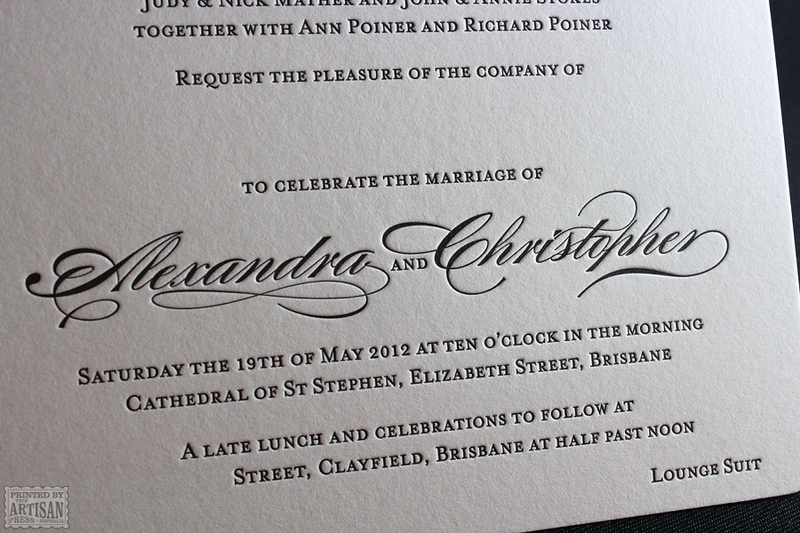 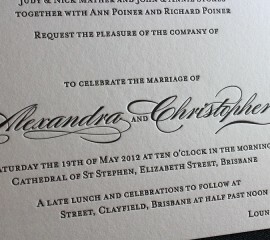 Layered impression between the black text and the background monogram required planning and an expert’s hand on the press.